July is one of the best months with an outbreak of small white and yellow flowers, although this year’s display is less pronounced than last year, possibly due to the very dry spring compared with 2016’s deluge. Just in case though we are changing our maintenance schedule slightly (opinion seems to differ on how much to feed) from a spring weed & feed and an autumn weed, to add in a second late summer feed. So we’ll see how that does for next year. 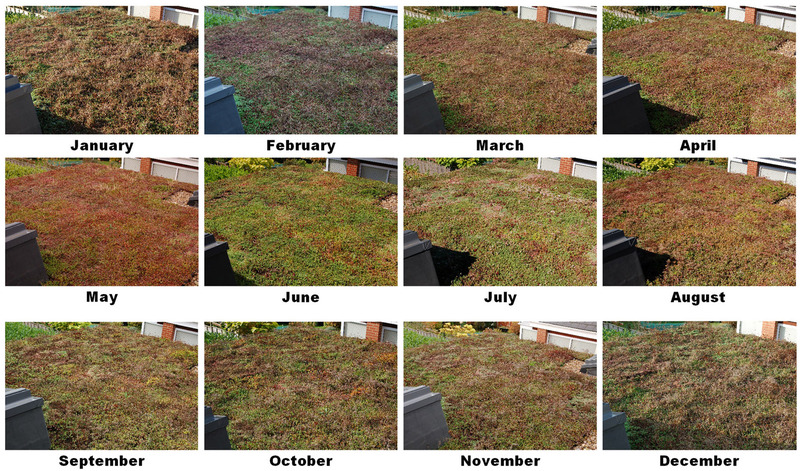 Meanwhile we’ve been keeping this record over the last year, which shows the subtle changes in the roof month by month as the winter purples turn almost pink in May before the lighter summer tones set in. 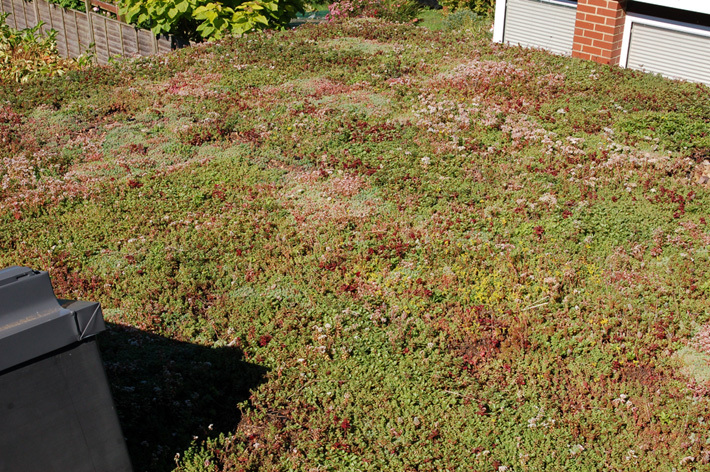 This entry was posted in House and tagged green roof, Paul Rainger, sedum, Sedum Green Roof, Smallholding, The Secret Acre by paulrainger. Bookmark the permalink.